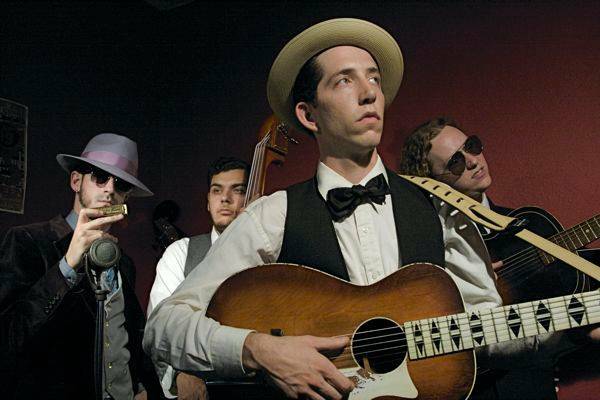 Pokey Lafarge and the South City Three. Pokey Lafarge and the South City Three return to Vancouver for a show at the Rio Theatre Sept 1 2011. The St. Louis, Missouri band, which includes Joey Glynn (bass), Adam Hoskins (guitar) and Ryan Koenig (harmonica, washboard and snare), won fans last summer when they played the 2011 Vancouver Folk Music Festival. 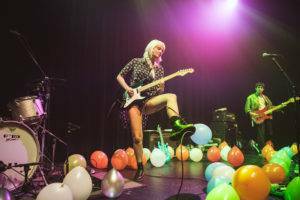 Lafarge and the trio recently opened for Jack White. They played on the song “I Guess I Should Go to Sleep” on White’s debut solo album, 2012’s Blunderbuss. Last year, White’s Third Man Records released “Chittlin’ Cookin’ Time in Cheatham County”, a 7″ single by Lafarge and the South City Three. Middle of Everywhere is the band’s most recent full-length album. Here’s an old song, dating at least as far back ton 1924 when someone named Papa Charlie Jackson recorded it (according to Lyle Lofgren). I came across it while doing a little Internet research on Pokey Lafarge, who played the Vancouver Folk Music Festival last year. This entry was posted in news and previews and tagged Pokey Lafarge, rio theatre, videos. Bookmark the permalink.